Republicans in Congress are gearing up to fight for lower tax rates. But how do you pay for those cuts? One possible solution on the table: Taxing you on your retirement savings up front. Several people in the retirement savings industry fear that lawmakers will choose to "Rothify" some or all of employees' 401(k) contributions. 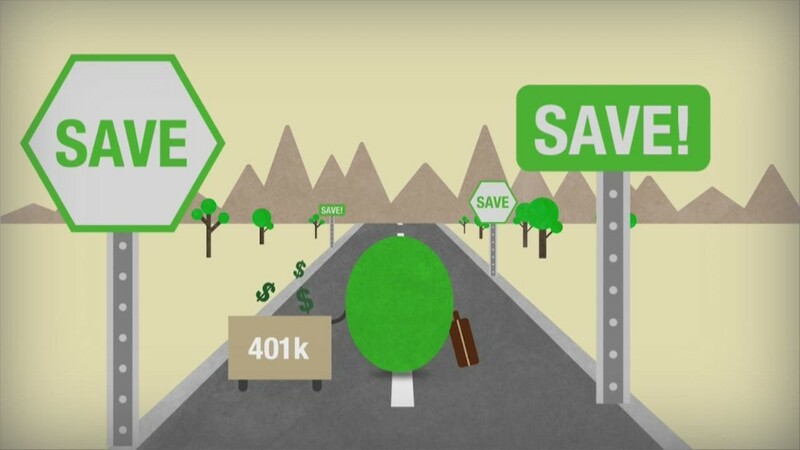 Today, the money you put in a traditional 401(k) is not taxed when you make the contribution. The money grows tax-deferred. But once you start taking funds out in retirement, your withdrawals are taxed as regular income. That's the opposite of how Roth 401(k)s and Roth IRAs work. In a Roth, your contributions are made after-tax, but your gains and withdrawals are then tax-free. If lawmakers opt to "Rothify" 401(k)s, they could treat some or all of your future 401(k) contributions as taxable income the year you make them. It's not a new idea. A version of it appeared in the 2014 tax reform proposal put out by Dave Camp, then-chairman of the House Ways and Means Committee. Under Camp's plan, you would be allowed to contribute pre-tax up to half of the allowable annual contribution limit -- which this year is $18,000. All of your employer's match would also be treated as pre-tax. But any other money you put in would be immediately taxable. Since the taxes paid on long-term savings would be front loaded, Rothifying 401(k)s could raise revenue in the short term -- Camp's proposal was estimated to raise nearly $144 billion over a decade. That would appear to help "pay for" the permanent tax cuts Republicans want. But the change would lose money over time because the federal government would not get as much in revenue when employees retire and begin to make tax-free withdrawals. Such a timing shift is a fiscal gimmick, according to the Committee for a Responsible Federal Budget. "It produces savings in the near term by deferring costs to the long term." Related: How much can I expect to earn on my retirement savings? Okay, but would it be a good deal or a bad one for retirement savers? No one knows. "There's really no research dealing with the topic of how workers and employers might react," Nevin Adams, communications chief for the American Retirement Association, noted in a recent blog post. That may change soon. The Employee Benefit Research Institute is currently studying how Rothification might affect retirement outcomes. In the meantime, there is industry pulse-taking. The Plan Sponsor Council of America found the vast majority of the 400 employer-sponsored-plan providers surveyed think Rothifying 401(k)s would be a bad idea, and that policymakers should give employers maximum flexibility to design their savings plans to best suit the needs of their workforce. PSCA is part of the newly formed Save Our Savings Coalition, made up of plan providers, trade groups and savings education nonprofits. Coalition members' worry Rothifying might dissuade people from saving as much as they would in today's system. As it is, a lot of employers already offer a Roth option to their workers. For instance, at Empower Retirement, the second largest plan provider in the United States, about half of its 37,000 clients do. Across the industry, three-quarters of employer sponsored plans have a Roth feature, according to PSCA. But the take-up rate is fairly low among employees. "When given a choice, American workers overwhelmingly choose traditional accounts over Roth accounts" said Jim McCrery, who had been a top Republican on the Ways and Means and now heads up the Save our Savings Coalition. "Reducing the availability of tax-deferred retirement savings just for the purpose of raising revenue would likely reduce the amount people save, thereby putting the financial security of tomorrow's seniors at greater risk." Then again, Camp estimated that his proposal would only affect 17% of workers who contribute to 401(k)s since most people do not sock away more than half of the allowed annual contribution limit. What is clear is that getting Americans to save enough for retirement is still an uphill battle. Correction: The original story referred to PSCA as the Profit Sharing Council of America. That was the group's original name, but it has since changed to the Plan Sponsor Council of America.